Great white sharks are arguably the most widely-known shark species, but unfortunately, they're not known for their roles as apex predators that are crucial to healthy ocean ecosystems. Instead, some have characterized them as vicious monsters of the deep, and the media over-sensationalizes rare attacks-which doesn't help conservation efforts. Despite their reputation, scientists recently delivered good news about great white sharks: Populations in the North Atlantic Ocean are rebounding, according to the National Oceanic and Atmospheric Administration (NOAA). The federal agency compiled white shark sightings over a 200-year period for the region in the most comprehensive study to-date, and recently published their results in a paper. "We have improved our understanding of white sharks in the Northwest Atlantic in recent years through field research and technology," said Nancy Kohler, co-author and program leader of the Apex Predators Program at NOAA's Northeast Fisheries Science Center (NEFSC), in a press release. "But we still have many questions about life history, population structure and size, behavior, habitat preferences, feeding habits, movements, and migration." 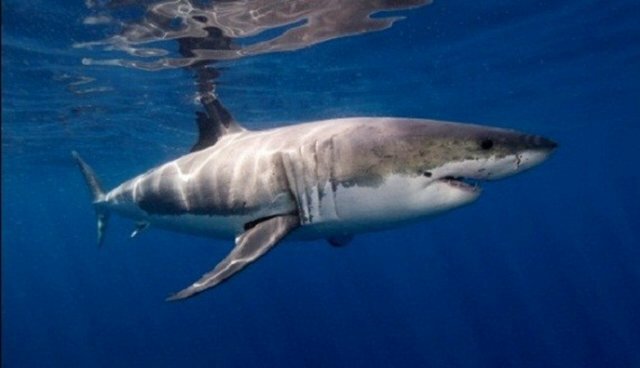 The comprehensive analysis also studied their distribution and migration patterns, finding that great whites primarily swim between Massachusetts and New Jersey during the summer, around Florida during the winter, and spend time closer to the coast than previously believed. Water temperatures and the availability of food such as seals and other big fish determine where they like to swim and live. While the news about a marine species rebounding-something that seems rare these days-is encouraging, these apex predators are still in dire need of strong protection measures because their populations aren't growing everywhere. Management measures like prohibiting landings, closing nursery areas, and raising public awareness can work to reduce shark mortality, but sometimes, as is evident in these other populations, sharks remain at risk from bycatch. Their life history patterns-being slow to mature and giving birth to few young-make them particularly vulnerable to threats from bycatch and illegal fishing. "If populations are indeed growing in the Northwest Atlantic, then that is great news, but it is not true for great whites everywhere," says Oceana marine scientist Amanda Keledjian. "To ensure that shark populations can rebuild, it is important to minimize the impacts of bycatch (especially in nursery areas), set species-specific catch limits, and prohibit fishermen from targeting vulnerable and already depleted species." On the other side of the country, for example, recent studies indicate that there are less than 350 adult and sub-adult great white sharks left at the two known major aggregation sites in the Northeastern Pacific, yet hundreds of young great white sharks are caught in drift gillnets off California and Mexico each year. Unfortunately, even with these threats to the Northeastern Pacific population, the California Fish and Game Commission recently chose not to protect this species under the California Endangered Species Act, despite petitioning from Oceana. And, great white sharks aren't the only species at risk: Great hammerheads, the largest of the hammerhead species, declined by 90 percent in recent years and now make up a much smaller portion of U.S. hammerhead catches than they did historically, according to the Natural Resources Defense Council. Despite these declines, this hammerhead species was recently denied protection under the Endangered Species Act (ESA) by NOAA, who cited that the species "is not currently in danger of extinction throughout all or a significant portion of its range and is not likely to become so within the foreseeable future." NOAA also announced decisions denying protection for two scalloped hammerhead populations in U.S. waters under the ESA. Dusky sharks are also overfished and threatened by bycatch. These long distance migrants are at just 15 to 20 percent of their mid-1970s levels, according to National Geographic. Though dusky shark commercial fishing was banned in 2000, there is no limit to the number that can be caught and discarded as bycatch. Dusky sharks are still being considered for listing under the Endangered Species Act. "Sharks have been dramatically depleted due to overfishing and bycatch in recent decades, and shark species will most likely recover once we establish species-specific catch and bycatch limits and reduce the global demand for shark fins that continues to drive and incentivize illegal fishing," says Keledjian.